This is the third in my interview series with a few of the people behind the Pitch Madness pitch contest. If you're new to the series and/or unfamiliar with Pitch Madness, please see parts one and two. Yesterday we got to know one of the Yellow Team captains, Sharon Johnston, a bit better. Today we'll spend a little time with the brains behind Pitch Madness and many other fabulous contests, Brenda Drake. Brenda is a full-time writer and social media whizz. She not only hosts and organizes huge contests like Pitch Madness, she's normally on the front lines as well, acting as a team captain or mentor. It's only fitting that Brenda lives in the Land of Enchantment, better known as New Mexico to anyone outside the state, because clearly there's some magic happening behind the scenes and Brenda's largely responsible for it. What is the first writing contest that you held and what inspired it? Brenda: I started with smaller contests such as "Show Me the Voice" with just one agent participating. They were blog hops, where participating writers hopped to each others blogs and critiqued pitches. Then I came up with the idea for Pitch Madness where agents play a game to win their requests. After that first contest, I wanted to give the writers who didn't make it into the contest a chance to pitch to the agents, so I came up with a twitter pitch party on #PitMad. It took off after that. Soon, I got the idea for Pitch Wars while watching Cupcake Wars (yeah, I don't get why it spurred the idea for PW either) one night, and I thought it would be great for writers to have a helper, someone to read their manuscripts, to mentor them, and get their projects ready for an agent round. You host a number of different contests throughout the year. Which is your favorite and why? 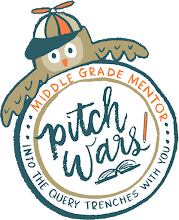 Brenda: Pitch Wars is my favorite because it's more of a mentoring gig. I love the spirit of the mentors and how they really want to see their mentees succeed. It's been the most successful of the contests. Was there a favorite moment in the Pitch Madness contest for you this year? Brenda: Next to seeing all the hosts in the Google chat while we were drafting our teams, I'd have to say it was the moment my entire team got at least one request. That excitement was brief, because I'd found out that other teams had entries without requests and my heart broke for them. I know how rejection feels, and I know how not getting a request in a contest feels. Brenda: Writing is a perseverance thing, you can't give up, just keep going. It's a tough journey to publication. If you give up, you'll never realize your dreams. Silly question time. If you could choose ANY book to switch places with a main character, which book and character would it be? Brenda: Anna Oliphant from ANNA AND THE FRENCH KISS. Because I want to kiss Étienne St. Clair under the Eiffel Tower. Of course, that would mean I have to be her age or it could be really gross for St. Clair. 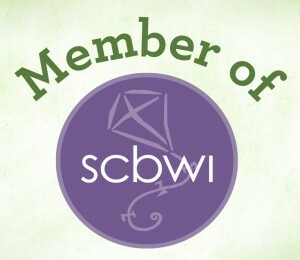 Huge thanks to Brenda for answering my questions, allowing me behind the scenes and spearheading so many projects and contests that support and build the writing community. Follow her on Twitter @brendadrake or at her website, http://www.brenda-drake.com. Thanks for doing the stats and behind the scenes interviews, JC!